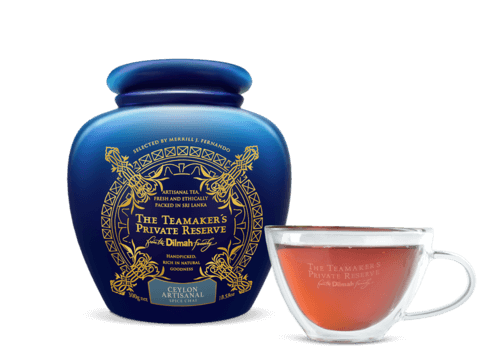 "A deliciously full-bodied tea that leaves the palate invigorated and fresh." 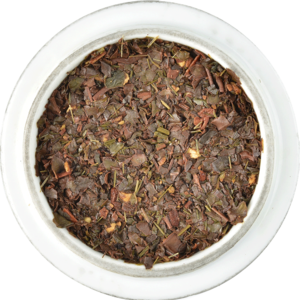 An authentic Chai recipe that combines artisanal clove, ginger, cinnamon, and lemongrass with a medium strength Ceylon Single Estate Tea produces a very unique all natural Chai. Pungent with the aroma and taste of fresh spice, the tea produces complex, spicy aromas and flavours; clove dominates, yielding then to ginger and cinnamon, finally presenting a hint of lemongrass. 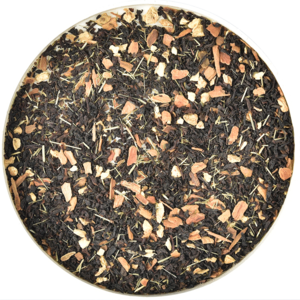 A deliciously full bodied and spicy Chai that leaves the palate invigorated and fresh. Nilagama (or Neelagama) Estate is located in the wet zone lowland of South West Sri Lanka. The estate was established in the early 19th century by British planters who pioneered tea planting in Sri Lanka. Since 2001, when Dilmah took over the management of the Estate, a lot of work has gone into infrastructure development, field development, and human resource development. 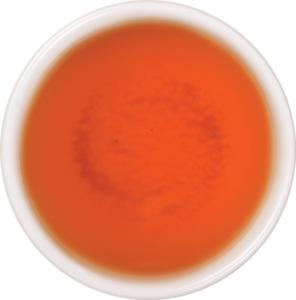 The Estate now produces some of the finest teas in Sri Lanka, with the rich flavours, colour, and aroma that were present many years ago returning to its tea.